Ethnic tensions in Mali are tenser than ever. Violent clashes between groups have been the cause of dozens of deaths in recent months. These disputes, mainly between members of the Fulani and Dogon ethnic groups, are complex, with both internal and external origins. Moreover, peacekeeping efforts have been largely unsuccessful, as mission leadership has struggled to grapple with the political complexity of Mali’s conflict. Rather, external interference has at times only exacerbated the conflict. In 2012, insurgent groups with links to terrorist bodies – most notably al-Qaeda – captured territory in northern Mali. This prompted France to deploy troops to the country the following year. France hoped to reduce the presence of terrorist groups across Mali. Following a campaign that was believed to be successful by French authorities, international presence in the region was reduced. Despite a period of relative peace in the following months, underlying tensions remained. This became evident as violence resumed within a year. France is still involved in the Guerre du Mali and remains strongly invested in anti-terrorism operations in the region. By 2017, high death tolls were again being recorded in northern and central Mali. 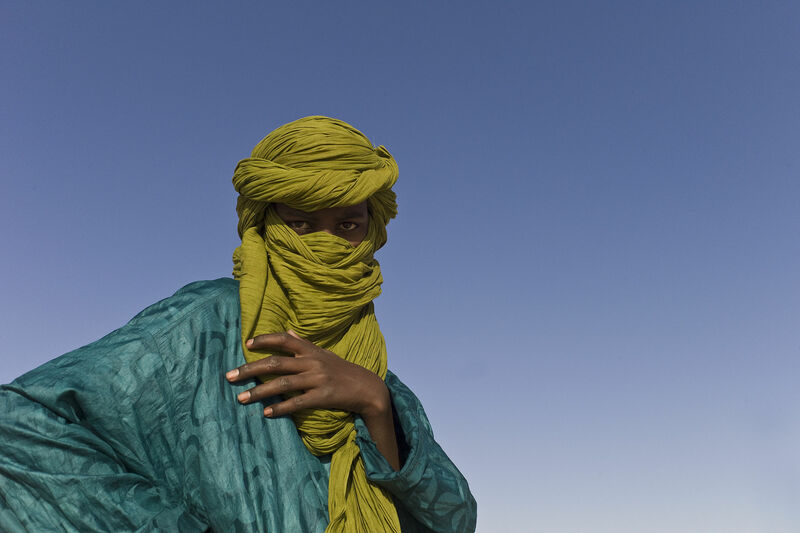 The original insurgency that prompted French involvement was led mainly by members of the Tuareg minority group. However, the most recent violent clashes have largely been between armed members of Fulani and Dogon communities. Western media has often framed the distrust between the ethnic groups as being caused by al-Qaeda recruitment efforts among the Fulani people. Terrorist organizations have therefore inflamed long-standing ethnic tensions, all while benefiting from the instability they sow. It is in light of this that French president Emmanuel Macron has sought to redouble counter-terrorism efforts in the region. As a result of this, a Fulani radical Islamist leader, Amadou Koufa, was killed during a military operation in November 2018. However, this has brought the clashes to new heights in recent months, as groups loyal to Koufa lashed out. In 2018, over 500 civilians lost their lives in regions of Mali affected by the conflicts. These conflicts are, in large part, driven by mistrust between the ethnic groups. As previously mentioned, terrorist groups fan the flames of these suspicions: preying on the country’s instability, these groups launch recruitment efforts among populations that are particularly vulnerable—in this case, groups that face challenges acquiring basic necessities. Perhaps due to this ressource scarcity, clashes between Mali’s ethnic groups are a long-standing pattern in the nation’s history. For example, Nomadic Fulani shepherds and farmers and hunters from other groups have challenged one another over access to resources including land, water, and livestock for many years. Most recently, armed Fulani warriors have been able to successfully prevent Dogon farmers from reaching their fields. However, with few lands of their own, the Dogon have been unable to sustain themselves through agriculture and many are at risk of starvation. This has caused some men of the group to return to traditional hunting customs, becoming what are known as Donzo hunters. However, in addition to providing food for Dogon communities, the Donzo have been directly responsible for violent attacks against the Fulani. For example, on January 1st, 37 Fulani citizens were killed by a Donzo militia. The extent to which tensions have increased in the past decade is a result of the enduring rivalries between the shepherds and the farmers, combined with the political and economic instability of the Malian state. This precariousness was further highlighted by the 2012 rebellion that invited a lasting and strong jihadi presence to the nation. Its ressources stretched by civil war and ethnic conflict, the state has left many of the affected communities to fend for themselves. The government’s inability to provide relief is why groups like the Dogon have turned to subsistence hunting and inter-ethnic violence.These vulnerabilities have also allowed groups like al-Qaeda to flourish within Mali’s borders. However, finding a long-lasting solution in Mali will require a realization by intervening forces that radical Islam is not the sole cause of these clashes. Rather, it is the lack of ressources and the limited control of the Malian state that have allowed conflict to fester in the country. For this reason, it is necessary that more basic issues such as these are addressed first, rather than framing the conflict as part of the wider war on global terrorism. That being said, driving out terrorist actors is still an important first step in eventually normalizing relations between domestic groups. Moving forwards, French efforts may help ameliorate the situation by eliminating terrorist groups, but the deeper ethnic tensions will remain. It is important that those acting in the region keep the complexity of the Malian conflict in mind: the clashes are not caused solely by radical Islamist interference, and solely ending such interference will not stop the clashes.